Konstantinos Gatzonis, a student from Anatolia College of Thessaloniki, is a much promising young man who, at the age of 16, has already made his debut in the world of science. 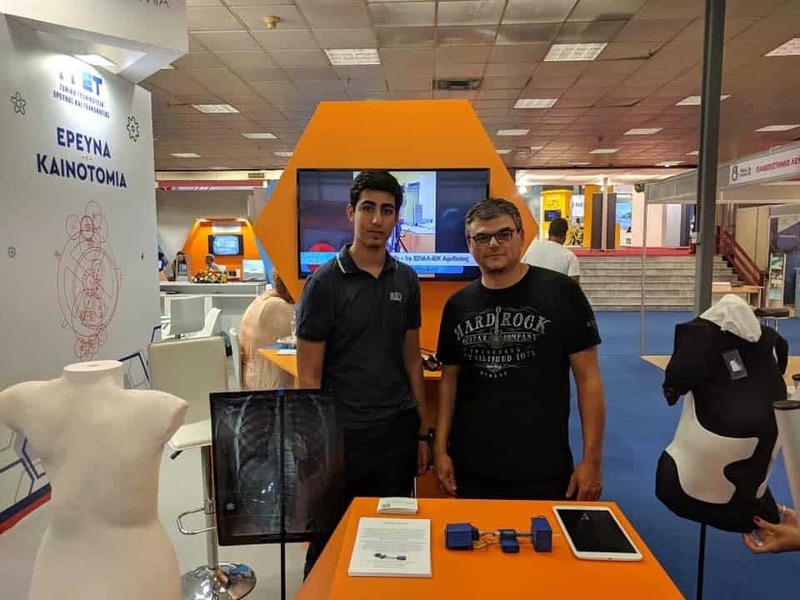 After being diagnosed with scoliosis while in high school, Konstantinos spent his time inventing a revolutionary scientific tool, which helps evaluate the disorder. The measuring tool, named Kidemanager, aims to replace the traditional ways of spotting Scoliosis, namely without the use of X-rays. The device was recently presented at the Noesis-Thessaloniki Science Center and Technology Museum, where it received positive reviews, as it is a huge step forward regarding the treatment of this condition from which people of any age can be affected. 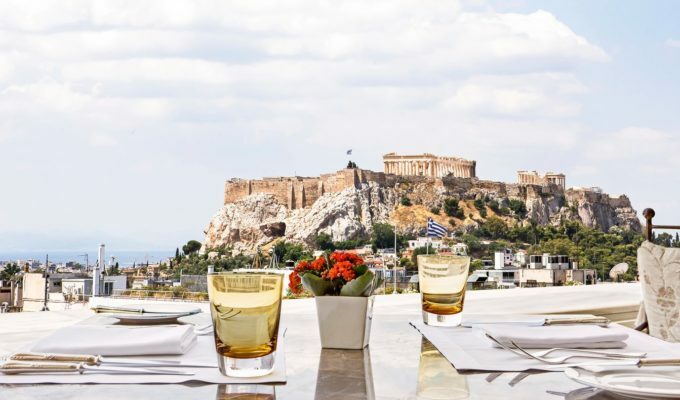 Konstantinos recently had an exclusive chat with GCT about his incredible achievement. Can you specify the difference between the Kidemanager and traditional tools of measuring scoliosis? This device allows a person who has been diagnosed with scoliosis to conduct very accurate measurements from home in a way that does not require any special medical knowledge and the results can be directly sent to the doctor that has the responsibility for the patient’s treatment. This allows the doctor to constantly monitor the treatments progress and actually if any sudden deterioration happens in the patient’s condition the doctor can act immediately to deal with them, something that cannot be achieved with the traditional methods of measurements that have been used until now. For example, regarding X-rays, the shortest average amount of time that can pass within two sessions is about 3 months in which a lot of negative implications may take place. Kidemanager does not aim to replace the traditional methods of measuring but is an additive aid that helps complete the treatment. Did you easily come up with this idea? How long did it take you to reach safe conclusions regarding this innovation? The inspiration for this device initially derived from the encouragement of my parents who urged me to get focus on this issue since I happened to be searching for a project at that time. How long ago were you actually diagnosed with scoliosis? About three and a half years ago. When did you manage to complete your studies and reach the idea of the Kidemanager? So the entire completion of the device took you roughly? How did you perceive this idea without being in the scientific community earlier? Since you do not have any medical or scientific knowledge at a professional level, what do you think helped you achieve this success at such a young age and such a short time? The idea of the Kidemanager came from my own personal issue. The owner of the medical center that I was visiting in Thessaloniki, Mr. Tournavitis, had a discussion with me after I asked him if a similar tool already existed. He said no and was actually eager to help me by giving me the necessary medical guidance regarding scoliosis in order to help me complete the tool. He gave me specific information regarding the anatomy of the spine and the different indicators that I could include in my measurements. So I gathered all the details and actually translated it into this new device which was constructed within a time frame of about 3 or 4 weeks in order to have a prototype. Did anyone help fund the project? Mr Tournavitis was the person that believed in me and helped me not only by giving me specific medical information on the issue but also by funding the whole idea in its experimental phase. The first prototype, as I mentioned took me 3 weeks to make but lacked one feature that the new one has, which is the wireless functionality. Basically, in the very beginning, the patient could exclude his results by inserting an SD card in which the measurement could be stored whereas the new one also includes a Bluetooth functionality so the patient can connect the device to their phone, make measurements from the companion application and then send the results through an email. Not officially yet, as I need to conduct some testing in order to maximize its accuracy, however, the device is currently patented. I’m a student in the IB section at Anatolia College in Thessaloniki, studying hard to get a high mark. I have already been accepted at my first choice, which is the University of Pennsylvania and I aim to do my best to have a career in the technology section. Sincere thanks for chatting with us Konstantinos, we wish you all the best.